Friday night will be a Halloween Howler at the Comedy Club in Cuba* when two of the most exciting acts on the circuit share a ‘spooktacular’ double bill. 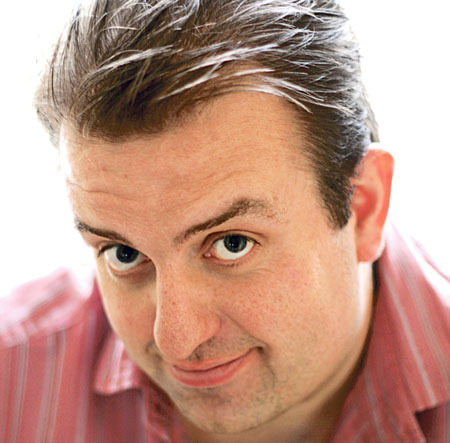 Limerick’s Karl Spain is one of Ireland’s best loved and consistently funny comedians. Having won Best New Act at the 2000 Irish Comedy Awards, this affable Limerickman has gone on to star in his own TV show, and appeared at all the Edinburgh, Adelaide, Just For Laughs, and Aspen festivals. Joining him will be Australian comic Yianni Agisilaou. Yianni’s take on everything from pop culture to war and racism to his hilarious upbringing in Australia under his demented Greek born family never fails to engage. He has twice been nominated as Australian Entertainer of the Year.. The show also sees the welcome return of Traveller comedian, Martin ‘Beans’ Ward. The MC will be Gerry Mallon. Tickets are on sale in advance at Bar 903, The Cellar Bar, and at the door which opens at 8.30pm. Galwegians wanted for new RTE TV series Written Off? Rarely Seen Above Ground @ Stress!! Bring down the Sky for free! Page generated in 0.0453 seconds.